Because big data analytics requires powerful computing systems that deliver high throughput with low latency—while processing massive volumes of data—data scientists are more frequently turning to all-flash storage as the foundation for these systems. 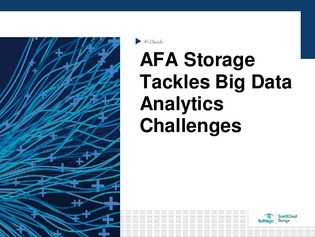 This expert guide breaks down the storage challenges associated with read-intensive big data analytics workloads, and how AFAs meet these workload demands. Claim your copy here for an additional look at the storage vendors targeting analytics workloads.